NSENIFTY closed up 23.250 at 7,897.500. Volume was 13% below average (neutral) and Bollinger Bands were 29% narrower than normal. NSENIFTY gapped up today (bullish) on normal volume. Possibility of a Runaway Gap which usually signifies a continuation of the trend. Four types of price gaps exist - Common, Breakaway, Runaway, and Exhaustion. Gaps acts as support/resistance. NSENIFTY is currently 16.9% above its 200-period moving average and is in an upward trend. Volatility is relatively normal as compared to the average volatility over the last 10 periods. Our volume indicators reflect moderate flows of volume into NSENIFTY (mildly bullish). Our trend forecasting oscillators are currently bullish on NSENIFTY and have had this outlook for the last 4 periods. As regards global markets, Asian indices closed on a positive note today, with the Korean and Hong Kong markets seeing the biggest gains. The rupee was trading at Rs 60.72 to the dollar at the time of writing. BANKNIFTY closed up 84.900 at 15,524.650. Volume was 4% below average (neutral) and Bollinger Bands were 34% narrower than normal. BANKNIFTY gapped up today (bullish) on normal volume. Possibility of a Runaway Gap which usually signifies a continuation of the trend. Four types of price gaps exist - Common, Breakaway, Runaway, and Exhaustion. Gaps acts as support/resistance. BANKNIFTY is currently 21.7% above its 200-period moving average and is in an downward trend. Volatility is low as compared to the average volatility over the last 10 periods. 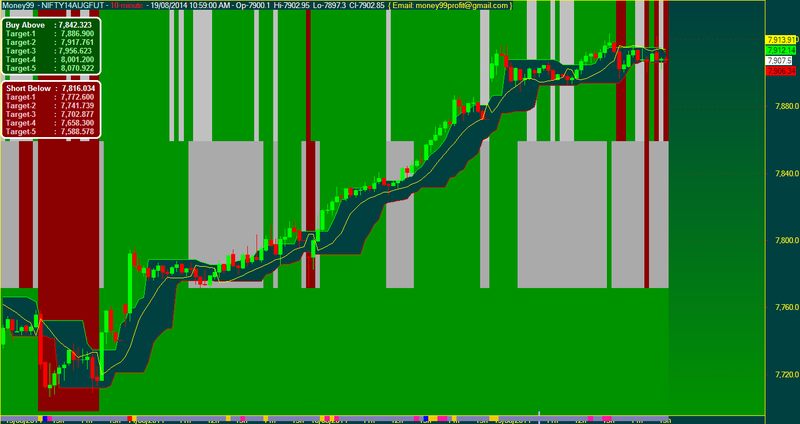 Our volume indicators reflect volume flowing into and out of BANKNIFTY at a relatively equal pace (neutral). 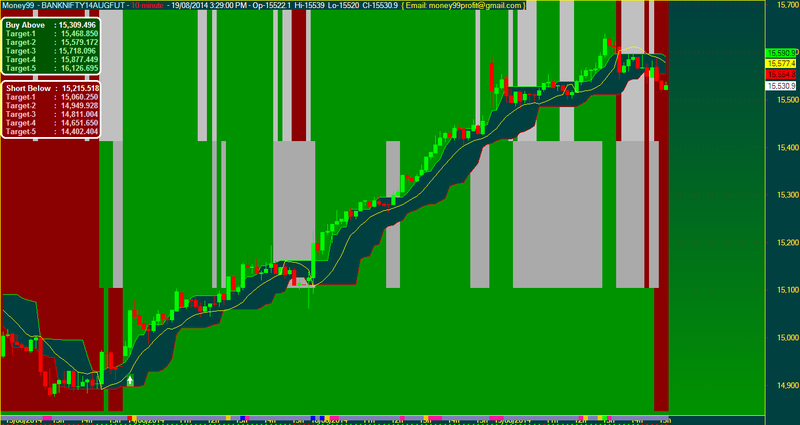 Our trend forecasting oscillators are currently bearish on BANKNIFTY and have had this outlook for the last 6 periods.